As a golf enthusiast, you always need to know how far you are from the hole at any given time, as well as what angle to hit and what trajectory you need to master to get as close as possible each time. While you could try to figure all of that out yourself with a pen and paper (and calculator), why not use a Golf GPS and make your next round even easier? So the Best golf gps reviews will help you for picking up the right product for your needs . These handy devices come with preloaded or downloadable maps that show you the Golf course you’re playing as well as all of the vital stats that you need. Never have to guess how far your next shot is by being one step ahead with a golf GPS. Today, we’ll be going over some of the best units you can find on the market, as well as show you which features and benefits you should pay attention to so that you can make sure you’re picking the right one for your needs. No Time To Read , Click Here For Our Top Pick GPS ! If you’re looking for something sleek and durable, the Garmin Approach G8 Golf Course GPS should be in your top picks. What is really amazing about this product is the feature to determine the slope-adjustment distances. It is one of the only golf GPS devices that can do this. There are also club recommendations if you are stuck on a hole and need a second opinion to achieve that low score that you want. These two features alone will be beneficial to improving your golf game. Preview the course before you golf with the “preview” mode. This will help you study the hills and slopes so you can be prepared for your day on the course. If you are someone that keeps your phone in your car or bag while playing golf, but still want to be notified, you’ll appreciated the ability to receive text, calls, and email alerts feature. A great feature that is available is the distance measurement of a shot. All you have to do is walk to the hole from your ball and the Approach G8 will let you know the exact yards you’ll need to make the shot. You can save this data and use all previous data to get an average distance of the golf club you are using. 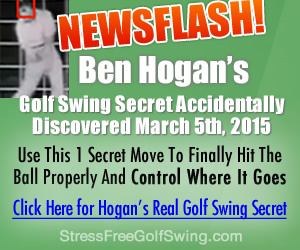 This will refine your game as well as your golf clubs that you are using. With the clear picture on the Garmin Approach G8 GPS, you’ll be able to appreciate the device letting you know how far you need to the ball up to 250 yards away. The Touch Target feature allows you to use the touch screen to view the the distance including the fairway, landing area, and any area of the green. While using these features, check the stats of your golf game while playing or saving it for next time to see your transformation. 4.4" x 2.1" x 0.6"
When it comes to outdoor gear, Bushnell is one of the best and most respected brands. While this company usually specializes in hunting equipment, it also provides golfers with some top-quality devices that can help you with your game. The reason that this GPS is called the Ghost is that it’s super compact and can fit into your pocket easily. Best of all, it comes packed with over 30,000 courses around the world, and you can download more for free. Other features of this model include front, center, and back distance readings, long battery life, auto course recognition, and auto hole advancement. Those last two features are hugely important while out on the course as it will make your life so much easier. Finally, this GPS is tournament legal so you can carry it with you at all times on the greens. we have another high-quality device from Garmin. The Approach series is the center of Garmin’s golf GPS lineup, and the G6 is a fantastic part of that group. If you want a large, easy-to-read touchscreen, this is a fantastic option for you. While it doesn’t come with as many courses as other models on this list, you still get quite a few with 25,000 preloaded and the rest accessible online. Best of all, you don’t need a membership or subscription to get new maps or upgrades. Other features of this GPS include the fact that the touchscreen works with golf gloves, an adjustable backlight display to save battery life, and the ability to zoom on the screen to see better. Also, you can use the device for up to fifteen hours on a single charge, which means that you can do a couple of full rounds before calling it quits (or recharging). If you want something compact and rugged, the Swami 4000+ is an excellent choice. While the screen is a bit too small for some users, it comes with all of the information you need to improve your game. You can see the front, center, and back distances to the hole, measure your shots, and see layup and carry distances in real time. One other thing that we like about the Swami GPS is that you can edit the course if there is an error. While it comes preloaded with over 30,000 courses, the fact that you can customize your experience if something is wrong means that you can do a lot with this device. Other features include a high-contrast screen, twelve hours of battery life, and a waterproof housing so you can play in any weather conditions (or accidentally drop it in a water hazard), and not have any damage done. As we mentioned above, some golf GPS units will tell you the distance to your next shot, rather than show it to you through text. The GolfBuddy Voice 2 is such a device, meaning that you don’t have to squint to read your results. Best of all, it comes with eight different languages preprogrammed insides so that you can find use out of this GPS regardless of your background. You can even download more languages online. There’s even a female or male voice option.What we like about this GPS is that it reads your distances from your perspective, rather than from a bird’s eye view. That means that you can translate the yardage much easier and plan your shot more effectively. Also, the fact that you can measure your shots is another advantage that this GPS has. Other features include over 38,000 preloaded courses, fourteen hours of battery life, and auto hole and course recognition. Overall, this talking GPS has everything you need to make your next game go swimmingly. We’ve already seen two models in Garmin’s Approach series, but our list wouldn’t be complete without checking out the whole lineup so that you can see what you would be missing. In this case, you get a smaller, sleeker unit that is easy to use and even easier to read. Overall, this device is geared towards golfers who don’t need to see the whole course to understand how to hit the ball. The smaller display on this GPS means that you get only the information you need without a lot of filler or extra colors. That being said, it still shows you hazards as you approach them and gives you a thumbnail of the green so you can figure out your best shot.To improve the accuracy of the maps it even enables you to put the flag manually, just in case. Other features of this GPS include 40,000 courses preloaded, a digital scorecard so you can keep track of your game, and water resistant housing just in case you like to play in wet weather. Also, the battery life on this model is fantastic, clocking it at fifteen hours on average. Next, we have yet another talking GPS. If you prefer to have the convenience of an automated voice telling you how far you need to hit your ball, this the Voice CPS from GolfBuddy is a good option. This is actually the original model, so it might be a bit of a downgrade from the Voice 2 we saw above. Nonetheless, this unit has everything you need to make your shot decisions while out on the links. First of all, you get over 35,000 courses preloaded into the system with free downloads after that. Second, there are eight language options to enable you to customize your voice experience.Finally, it comes with other standard features like hole advancement and course recognition. Also, you can measure the distance of your shots if you like. Next, we have our last Garmin Approach GPS unit. The G3 is another color model with a large touchscreen, making it almost the exact opposite of the G10 above. If you are a more visual golfer and need to see the whole course to get a better idea of your next move, then this is an excellent way to go. One thing that we like about the G3 is that you can choose your size. You can get either 2.6 or three full inches of screen space, meaning that you can make sure everything is visible before you buy. Also, with over 30,000 courses preloaded, you’re sure to have your favorite spots already good to go. Overall, the G3 comes with many of the same features as others we’ve seen, with the major difference being the size and responsiveness of the touchscreen. You can zoom in on the course, move the flag manually, and see your stats in high-definition. A digital scorecard makes it easy to play with friends, and the fact that you can download new maps for free is a huge bonus. Finally, this model is tournament legal. Our last device is the SG5 from SkyCaddie. This is a relatively good brand that has a lot of decent GPS systems designed for the golf course. The SG5 is probably one of the best in SkyCaddie’s lineup, which is why we are featuring it here. This particular model resembles a satellite phone, which means that the screen is a bit smaller than others that we’ve seen, but the reception is much clearer. When it comes to finding yourself on the course, this device comes with 16,000 preloaded already, with the option to download more online. The only downside is that you have to pay for a membership to get all of the extra courses, meaning that you may have to pay additional fees if your local ones are not already on the device. Other than that, this GPS allows you to see the green from any angle, enabling you to line up your shot perfectly. As with most of these units, you can measure the front, center or back distance to the hole, and you can even manually adjust the placement of the flag if it’s not correct on the screen. Finally, this device comes with a battery life of up to fourteen hours, which is more than enough to play a few rounds. We’ve already seen one Bushnell GPS in action, but if you wanted the opportunity to wear such a device on your wrist, you could do so with the Neo Ion Watch. What makes this device so desirable is that it looks amazing as a watch and it’s functional too, meaning that you can get a lot of mileage out of this one machine. Style wise, this watch comes with three different color options and a silicone gel band for extra comfort. You will look as good as you play out on the links, which is part of the reason that this unit is so popular. Besides the design, this GPS comes with all of the standard features. You get 35,000 courses preloaded inside, as well as auto course recognition and automatic hole advancement. Another bonus feature that you get with this model is a step counter so that you can figure out how much exercise you’re getting out on the course. Best of all, this GPS is tournament legal. When car GPS systems were all the rage, Garmin quickly cemented itself as one of the premier brands that can help you get to where you needed to go. Thus, it makes perfect sense that the company also makes high-quality golf GPS systems as it already has the satellites and infrastructure to do so. In fact, we are going to be seeing a lot of Garmin products on this list. What we like about this particular model is that it is a watch-style device, which can last up to three weeks in standard watch mode or up to eight hours in GPS. Also, the signal is stronger with this unit than others, meaning that you should be able to find your next hole without much interference. One feature that is common with Garmin Golf GPS systems is the addition of a digital scorecard. When you’re playing with friends, it’s always fun to keep score, and this way you can do it without having to write it all down manually. We recommend that you try out both devices to see which one is better. Overall, GPS systems can be much easier to master, and the fact that you get a bird’s eye view of the course means that you can position your shot much easier. Also, you don’t have to remember distances or write them down as you would with a rangefinder. Golfing ﻿﻿equipm﻿﻿en﻿﻿t is going to add up in terms of costs. However, high-quality GPS watches for golf are wonderfully cost-effective in a way that other types of golf equipment never will be, since they can really help people win games. The Garmin Approach S1 GPS Golf Watch is truly one of the best golf GPS watches that people will be able to get for the money. It has a wide range of different features and it has a strong resistance to a lot of outdoor elements. This is a watch that should be generally easy to use in the field. Of course, people are primarily going to care about accuracy when it comes to their GPS golf watches, and this is certainly a golf watch that can give people accurate and effective results. A GPS watch needs to be remarkably accurate when it comes to the distances that it can estimate, giving people an advantage on the golf course. Ideally, it should also have some pre-loaded data on various golf courses, and the more golf courses, the better. The more golf courses that are covered, the more possibilities there are. The GPS receiver also needs to be both sensitive and effective. A GPS receiver that is not sensitive enough to the signals will get easily distorted. People absolutely should have batteries that last long enough. GPS modes will use a lot of power, and they need to be able to last long enough in order to help people work. Batteries that don't last long will be terribly inconvenient. All of the features at least need to get someone through a round of golf. Golf GPS watches need to be waterproof, since people don't know when it is going to rain. If there are other features that will help a watch last for a long time, that will be even better. Golf watches should be lightweight and comfortable, since people will be using them for a long time. If the time zone and the time for the watch can be set automatically, people should also generally have an easier time with the watch in general. An odometer and alarm can make the watch easier to use. For the most part, golf GPS systems are designed to be compact and lightweight. This makes it easy for you to carry the device in your pocket or with your golf bag while not taking up much room. However, because you need to read the data on the screen, having a smaller size may mean that it’s harder to read everything. Most GPS models will have extra large fonts, but if the screen is too small, it won’t make much of a difference. Overall, make sure that the screen size is sufficient for you to read it quickly, and then you’ll have made a good decision. When it comes to GPS devices, you can either carry it on your person or wear it around your wrist. Some golfers prefer to have a watch-style design because you can use it as a regular timepiece when you’re not out on the links. Overall, if convenience is the most important thing for you, then a watch GPS might be the way to go. Another design option you can choose is a talking GPS. This means that you don’t have to try to read the data as it will tell you what your distance is at any given time. Talking GPS models are ideal if you have a hard time reading the screen and don’t want to have to spend all of your time squinting to see what you’re looking at. Most golf games last several hours, so you want to make sure that your GPS will keep on ticking by the eighteenth hole. Most GPS models have a rechargeable battery that can last anywhere from four hours to fifteen hours on a single charge. If you like to take your time on the course or go through multiple times, then you want to make sure that you get a GPS that can last as long as you. When it comes to the screen, some golfers like to see what is going on and see the green in front of them. If that’s the case, then you will want to get a model in full color so that you can spot the flag and your obstacles with ease. Some units only display numbers and a quick drawing of the green, but that might not be enough information for you. Overall, color screens are pricier, but they are usually bigger and provide more visual information. Thus, if you need to see what to expect, a color GPS is the way to go. If you can manage without that kind of information, then don’t pay extra for the privilege. All golf GPS systems come with some courses already loaded into the memory. Depending on the brand, that number could be anywhere from a few thousand to thirty-five thousand courses. Most of us will never get to experience that many golf courses, but the reason that they come with so many is that they sell to people all over the world, so it makes sense to have most of the golf courses map preloaded, so you don’t have to worry about downloading them. Speaking of downloading, if you are missing a local course or you need to get an updated map, some brands will offer these for free, while others will charge for a membership plan to get additional courses and updates installed. For our money, don’t pay extra for courses you don’t need, so check beforehand to see if it comes with your local links so that you don’t have to buy new maps. Are Golf GPS Devices Better than Rangefinders? For golfers, having the right equipment on the links is supremely important, which is why there are two types of gadgets that you can use to gauge distance and placement on the course. In addition to GPS, you can use a rangefinder, which uses lasers to measure the distance to your next target. Some golfers prefer one over the other, so let’s see the pros and cons of each model. These devices are compact and portable and resemble a standard digital camcorder. The way that they work is that you hold it up to your next target and activate the laser to see how far away it is. Most rangefinders will report back to you with precise yardages up to about 600 or 800 yards. Some models can also give you the slope reading so that you can get a true measurement when playing on an incline. As we mentioned, these devices are much smaller, meaning that you can carry them in your pocket or on your wrist. That makes them much more portable, but some models can be hard to read as a result. If you don’t already know what a GPS is, it stands for a Global Positioning System that works using a network of different satellites. Typically, you will find yourself a lot more comfortable and familiar using the GPS in your iPhone or in your car because that’s where you see it the most. The satellite network works to transmit signals to the receiver and the new technology makes it a lot easier for you to get signal even if you are stuck between trees. While there have been a lot of problems and restriction with golf GPS devices in the past, it’s done a lot better and there has been a huge improvement when it comes to the sensitivity of the unit. The accuracy has increased by a lot and you can really count on it to provide you with the accuracy you need and open the door to plenty of other advancements. The GPS system is going to locate four or more satellites and uses those to figure out the distance between the GPS and those satellites. With that information, it will compute a series of different calculations so the unit can figure out exactly where you are and how far away you are from certain items on the golf course, including the location of the hole and possible barricades. If you’re looking to find out what some of the advantages to a GPS g﻿olf finde﻿r, you’ll find that one of the biggest advantages is the ability to know the distance to the green even if you cannot see it. Additionally, it requires little to no work in order to figure out the distance. All of the measurements have been done for you automatically so there is nothing left for you to do. Of course, no matter how good a product is, there are some disadvantages to remember as well. For example, the golf GPS only can tell you where you are at right now because it uses the satellites imaging and courses to help make sure it can calculate where you are. If you decided to use a range finder instead of a GPS, you’ll be able to calculate the distances and other factors on your own without using the satellites. While it might seem like it is a complicated process that is difficult to understand at first, the way a golf GPS works is actually pretty easy to understand and easy to use. The next time you go out on the golf course with your GPS, you will have no problem knowing exactly how it works to help improve your game! Between playing golf in real life and playing a golfing video game, you would find that it is much easier to play golf with video games. From there you can look at overhead views of the hole you are on before you even take your first swing. You can know right away how the course is laid out. This is one major advantage that has never been possible in real life. It just is not attainable to see the course from an overhead view, because your vision is limited to your own perspective. But with Golf GPS, this is one piece of technology that can dramatically help your real golf game. With a smartphone, smartwatch or standalone device, you can see the course in a digital, overhead view and know where to find the green, fairways, hazards and out-of-bounds areas. Golf GPS uses the technology and satellite power of a GPS for the car, and there are over 50,000 golf courses that work with it. The GPS system acquires four or more satellites and solves a formula that defines the distance towards each one. This is how Golf GPS finds your course in its map and establishes the various aspects of it, too. Because every Golf GPS system functions differently, here are some basic instructions for how to utilize Golf GPS. Install the GPS software that came with your device. Make sure that you are signed up on the website of the golf GPS system of your choice. This is a requirement before you can first have access to the Golf GPS system’s features. Before the golf course you play on can be used for your GPS system, it should be selected as it were a location on a regular GPS. Type in the name of the course and confirm its location. Select the number of players. You can set up games with other players, so you can record the distances of shots as well as keep score. Toggle satellite view on and off. If you select an aerial view of the course, you can also zoom in and out of certain sections. With satellite view turned off, you will get basic colors representing parts of the course. To measure your shot, tap the “Measure My Shot” button to determine how far your ball traveled. It does not detect your ball in flight, but it does measure your shot distance by walking from where you hit your ball to where it landed. Establish your used club after your shot. Once you measured your shot, verify which club you used, so that it calculates your play performance using specific clubs. Compare scores with the scorecard. You can record shots for many different players who are playing the same game, so rather than spend too much time recording every single shot, be sure every player interested in the technology has their own Golf GPS. If your ball ends up in a water hazard, bunker, or rough, you will need to establish which type of shot you are taking with the GPS. It will not be able to tell if your ball ends up in a trap unless you confirm with it with these settings. After getting the hand of recording shots, do the same for the other holes by tapping “Continue Playing” and you will quickly get the hang of Golf GPS. You can look back at your previous performances by tapping “Rounds” and then “Previous Rounds”. From here, you can make changes to your scores or delete a whole card entirely. You can look at statistics of your play overall is you select “Cumulative Stats”. From here, you can view your average shot distance for each club you use, among other interesting tidbits about your performance. An 18-round game of golf is very time consuming, so be sure that your device is charged fully before you start your game. To reduce battery consumption, reduce the brightness of the screen, or purchase an external battery that connects to your device. After looking through all of these GPS models, it’s hard to determine which one is better than the rest because you may have a particular preference as to the design. Some golfers like the convenience of a watch-style GPS, while others need to see the course in full color to get the best results. So, with that in mind, we have a couple of units that stand out above the rest. First, we highly recommend the Garmin Approach S2 Golf Watch. The reason we like it so much is that it has longer battery life and is excellent as both a watch and a GPS system. Also, it comes with a huge assortment of courses with the option to download more for free, which is a fantastic bonus. Second, we recommend the GolfBuddy Voice 2 device if you prefer to have your GPS talk back to you. As far as talking units go, this one is probably the best option for golfers, and we also like that it comes with a wristband so you can wear it as a watch if you like. Finally, if you need a large color screen, then you can’t do much better than the Garmin Approach G8. We love the fact that this device has Touch Screen & Best size options so you can pick the right one for your needs, and we appreciate that you can zoom in to see your placement on the course even easier. Finally, having waterproof housing also means that you can play in any weather without risking damage to the machine.So At the best golf gps reviews ,You can choose your choice. Good to read this article. I have tried Handheld gps before and it’s pretty solid but now looking to buy a golf watch also. Do you have any suggestion about best scorecard app? It is official that I cannot hit in front of a launch monitor indoor. So I really want to know my scope and I have used the Golf-Shot apps which will get the job done but is really difficult to use for every shot. What would you say is the best watch on the market? Hi Robert, Thanks for reaching out to us! we highly recommend the Garmin Approach S2 Golf Watch . Great review of the Garmin Approach G8 GPS Handheld device. I’ve always been a laser guy myself but this Garmin Approach G8 device is excellent and mostly seamless.Great job with this site and thanks for the info!